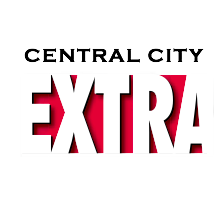 This article, written by Marjorie Beggs, was originally published in Central City Extra's October 2015 issue (pdf). You can find the newspaper distributed around area cafes, nonprofits, City Hall offices, SROs and other residences – and in the periodicals section on the fifth floor of the Main Library. It was a sweet bit of chronological serendipity: In August, the city announced the moderate-income lottery winners who were eligible to buy 167 condos at the new, glass-clad 1400 Mission complex at the corner of 10th Street. Two miles east, at Folsom and Main streets, the first owners began moving into Lumina, 656 super-luxe condos. The connection between the two is direct, the timing’s not coincidental, and the backstory is convoluted — and telling. Tishman Speyer built 1400 Mission for $65 million and Lumina for $620 million. One is inclusionary affordable housing, the other, by dint of price, exclusionary. With the exception of 23 rental apartments at 1400 Mission, all 823 condos are for sale. How much Tishman will profit from Lumina will probably be known only to Tishman Speyer. At 1400 Mission, the city has posted estimated sales totals for the 167 condos at just under $50 million. So it may be fair to ask if the big developer has used an affordable housing project to enable its lucrative investment in the Lumina. Market-rate developers must meet the city’s 13-year-old “inclusionary” requirement to rent or sell a percentage of their units at a price low- or moderate-income households can afford — a price that includes, rather than excludes, such households from the housing mix. San Francisco, and an estimated 170 cities nationwide, have adopted the tactic to offset the dearth of housing that is below market rate, BMR. Affordable, all cities call it. An image of a unit in building from the 1400 Mission website. One interesting aspect of 1400 Mission is that the housing originally planned for the site was to be low-income. In 2000, the land at the site was owned jointly by TNDC, central city’s largest nonprofit housing developer, and Citizens Housing Corp., now defunct. That’s when New York-based Tishman purchased waterfront land on which to build two pricey condo complexes — the Infinity and the Lumina. To do so, Tishman had to meet the city’s inclusionary requirements. The inclusionary housing ordinance of 2002 codified a decade of bureaucratic policy. It gives market-rate developers of 10 units or more three options: Make a percentage of those units affordable, build a higher percentage of such units off site, or pay a fee into the Mayor’s Office of Housing kitty to build below-market-rate projects. Or, they can mix the three options to meet their requirement. The percentages today are 12% of onsite units, 20% off-site or a 20% fee, but the percentages were different when Tishman was in negotiations with the city. Chandra Egan, manager of MOH’s inclusionary housing program, says Tishman’s choices were to make 115 (17.5%) of its Lumina units affordable, pay to build 164 units (25%) off-site, or pay a fee calculated on the worth of those units. Egan puts that fee at around $39 million. Tishman chose the off-site option, the one least used by developers because it’s the most financially risky. Construction takes years, and labor and material costs can spiral beyond original estimates. Since 2003, only nine of the 314 market-rate developments in the city have resulted in off-site units — 156 apartments, 419 condos. The latest from the 1400 Mission website about its housing options. The fee, set when the developer begins negotiating with the city, is due with the project’s first construction permit. There’s no risk, but some developers are hard-pressed to come up with such a big chunk of change years before they can sell their sumptuous condos. As of 2014, according to Egan, the city had collected less than $90 million in inclusionary fees since the ordinance went into effect. A City Planning document summarizing the inclusionary program lists 76 projects that opted to pay the fee. The most popular way of meeting the inclusionary requirement has been to designate a percentage of on-site units affordable: In the Planning summary, of 314 total projects in 25 years, 210 builders chose on-site, integrating 3,397 affordable units into their higher-priced digs. Tishman’s choice is adding modestly to the affordable housing stock for middle-income earners, but it eliminated hundreds of units of low-income rental housing TNDC had had in the works a dozen years. “Affordable” in San Francisco refers to housing for both low- and middle-income renters and owners. But there’s a world of difference between them: Affordable rental units built by nonprofits, according to the Mayor’s Office of Housing, rent to households with incomes ranging from $14,250- $42,800 for one person. Affordable units built under inclusionary rules, says MOH, also can rent to households with incomes of $42,800. At 1400 Mission, however, the cap goes up to $108,150. The disparity, a source says, is because City Planning issued Tishman a special exemption from the inclusionary requirements. Tishman Speyer built Infinity — 650 units on Rincon Hill — and chose the off-site option with 163 affordable units at 888 Seventh St., a mix of market-rate and moderate-income condos built by project sponsor A.F. Evans. Tishman followed up with the 1 million-plus-square-foot Lumina, 37- and 42-story towers on Folsom Street between Main and Beale. It has 16 studios, 200 one-bedrooms, 373 two-bedrooms and 67 three-bedrooms. Costs range from $695,000 to $825,000 for a 650-square-foot studio; a three-bedroom is more than $5 million. The two-story penthouse reportedly was going for $49 million. Again, Tishman chose the off-site option, but sponsored 1400 Mission itself, building four studios, 52 one-bedroom, 94 two-bedroom and 17 three-bedroom condos, plus rentals — one studio, 13 one-bedroom, eight two-bedroom and one three-bedroom. Existing versus allowable building heights in the Market and Van Ness area, from the 2013 Conditional Use Application. Via SF Planning. For building off-site, the city gave Tishman nearly $50 million credit toward its inclusionary requirement (see sidebar). Had it chosen the fee option, it would have paid the same amount directly to MOH. Central City Extra’s premiere issue in March 2000 carried a story about TNDC’s plan to expand its portfolio from Tenderloin-only housing into South of Market — a 2.2-acre property on 10th Street running from Market to Mission. A year earlier, TNDC and Citizens Housing Corp. had bought the half-block of vacant, crumbling buildings from Bank of America for $4.5 million and began negotiating a $7 million loan. By 2004, TNDC’s development plans were solidifying. A structure on the property was razed, leaving a deep, wide hole, ready to receive one or more of the buildings TNDC had mapped out for the site: a 15-story, 158-unit tower for low-income seniors; another, 21 stories, with up to 240 apartments for low- and moderate-income families; and a third, 26 stories with 440,000 square feet for city offices. It would have been a significant addition to affordable housing in San Francisco. The city’s involvement was key. Its offer to purchase a portion of the land for about $10 million would guarantee that the two nonprofits could finance affordable housing on the remainder of the site. Four years later, the hole remained. The city had pulled out, deeming the cost of building new offices too high, leaving the nonprofits with a big loan coming due. An image of the front entrance to 1400 Mission, from the 2013 Conditional Use Application. Via SF Planning. TNDC and Citizens sold that portion of the land in 2006 for $26.5 million to developer Crescent Heights to build luxury condos. Falk says the two nonprofits each cleared about $7 million in that deal. They kept the southern third of the parcel for 150 affordable apartments to be rented to low-income families and the homeless — barely half the number of units they’d wanted originally, but still, it would be housing for the poor. As late as March 2009, Falk was telling The Extra that the project was “delayed, not terminated,” confident it still could fly. What flew was Crescent Heights’ NEMA. The first of four connected towers containing 754 market-rate condos opened in fall 2013 across the street from the Twitter building, part of the amazing/distressing mid-Market boom. And Falk was almost right — 1400 Mission did make it, but not for the renters TNDC had originally intended. An aerial sketch of 1400 Mission from Brand + Allen Architects. To “informally broker” the deal, Falk explained, TNDC and Tishman jointly approached Maracor, a San Francisco company that helps developers plan and manage all phases of residential, commercial and retail projects. And TNDC’s role in 1400 Mission today? Development consultant. TNDC suffered with all developers, for-profit and nonprofit, in the years after the 2007 recession, but it has had a string of recent successes and expects that by 2019 more than 6,000 low-income people will live in TNDC housing. Of the dozen properties in its pipeline, one has inclusionary funding already in place and another is likely. Forest City, developer with the Hearst Corp. of the mammoth 5M project at Fifth and Mission, is meeting its inclusionary requirement by putting $18 million toward TNDC’s Eddy-Taylor Apartments at 168-186 Eddy, paying for 66 of the planned 110 units. 5M also will have 212 onsite affordable units. Planning documents for a new development at 655 Fourth St., current home of the Creamery and Iron Cactus. Via the SF Business Times. Falk says the 5M project “isn’t really consistent with the inclusionary ordinance. It’s something really creative that hasn’t been done before, best described as a ‘directed in-lieu fee’ — they’re routing the money through MOHCD and have signed a development agreement with the city, which trumps the ordinance, as it were. To us, this looks much like any other project we do, with MOHCD loaning the money to us.” The city loan to TNDC is 3% with payment deferred for 55 years, a typical formula for low-income housing, Falk says. A parking lot and two small commercial buildings at Fifth and Howard comprise the other property TNDC plans to develop with the help of inclusionary support, again, it hopes, with Tishman Speyer. Purchased in 2009, it would include 200 family apartments plus 100 moderate-income units, Falk says, if TNDC can strike a deal similar to the one with Forest City for the Eddy-Taylor Apartments. “We’re hoping to reach an agreement with Tishman in relation to its Creamery project,” he said. The Creamery coffee shop and Iron Cactus Mexican restaurant, a block from the Caltrain station at 655 Fourth St., are on land where Tishman plans to build two condo towers. If successful, that will give TNDC three inclusionary-funded projects under its belt. Are inclusionary options an effective tool to raise money for affordable housing? Falk hedges. Mayor Lee and Supervisors Mark Farrell and Katy Tang introduced legislation Sept. 15 that would change the inclusionary regulations to make it easier — and more lucrative — for developers to build off-site. Part of the proposal is a swap for developers — they can charge more for rentals or condos off-site if they’ll build more units — that puts the inclusionary program “squarely in the low- and moderate-income housing range,” Cohen says. He dismisses the notion that inclusionary fees or other options mitigate the negative effect of market-rate development on affordable housing. The lottery for the 167 condos at 1400 Mission drew 355 applicants and winners were notified Aug. 10. A 631-square-foot studio — more than twice the size of a Tenderloin SRO — will cost $225,000.One-bedrooms are priced at $269,000, two-bedroom $303,000, and a 1,415-square-foot threebedroom for $328,000. Buyers’ household income caps run from $71,350 for one person to $110,050 for five. Rentals go to the middle class. They range from $2,664 for a studio to $3,780 for three bedrooms. There was a lottery for those units, too, Sept. 24. The rentals, monitored by MOH, fall into the city’s Middle Income Rental Program — for individuals and families who earn up to $139,050 for a three-person household. This is “affordable” housing in a city where the average rent for a one-bedroom in May was $3,213 per month. That’s $38,556 a year for a roof over your head. Teachers’ salaries in S.F. start at $46,000, program coordinators at nonprofits take home about $45,000 and nongovernment social workers average $54,000. Most nontech professionals can’t afford that. An average salary and benefits for tech workers in 2014 was $156,000. The proposed improvements to inclusionary regulations may get more units built, but won’t solve the underlying housing problem in a city that vies to be the most expensive in the world.